Backlink Beast Review and Recommendation – Is This the Backlink Answer? 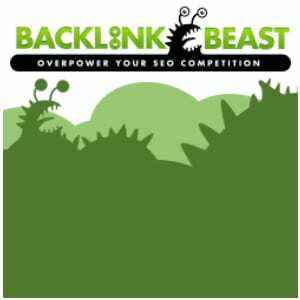 Does Backlink Beast Really Work? Backlink Beast is a backlinking program that is getting a lot of attention right now, and several website owners are wondering if this is the key to save them from the torturous task of link building, freeing up their time to create more content or just take it easy. Let’s find out! Backlinks are important to your rankings in the search engines, but they can’t be just any old links, and they can’t come in droves all at once and then taper off and dry out. They have to look natural, because if you’re doing things right your website will naturally attract links to it because it will be worth linking to. The creators of Backlink Beast make too many claims to mention them all here, but the overall gist is that their system creates backlinks for you that are Google friendly so that you can trump other sites for the same keyword due to your newfound backlink strength. They claim it’s all done in accordance with the latest updates, and that your main site will be protected because the majority of the links are used to build up buffer sites that point a solitary link to your main money site. Anytime you say that you have figured out a way to game the system, you’re going to build up hype for your product. Many view Google as a hurdle they have to get past in order to have success online, and clever marketers know this, and phrase their ad copy accordingly. Graphs showing an increase in traffic also are hype, because it is not the hardest thing in the world to get a temporary increase in traffic, even paying for that traffic, and then crediting your system as the reason for it. There are two pricing options for Backlink Beast. You can get in for $7 and then pay $67 a month for as long as you want to use the service, or you can pay a one-time fee of $397. They say this one time fee is half the price of the normal fee, and only being offered during launch, but only time will tell what the final price ends up as. One of the major benefits touted by this program is that it’s mostly hands off. While that may sound very enticing, especially if you’ve ever spend any time trying to create backlinks on your own, manually, there are some serious drawbacks to it. Automatically created links look, well, like a robot made them. It’s pretty easy for a sophisticated company like Google to tell the difference between a link that a human passes genuinely to another human because they enjoyed the content, and a link that is created by a machine for the purpose of creating a link. The problem with Backlink Beast is that it’s using automated techniques, and therefore there is no assurance of quality from any of what it’s creating. Add to that the fact that you’ll be lumped together with all of the other people using the same system. It won’t take long for Google and other search engines to notice the footprint left behind and if they ever chose to they could blacklist the sites that are using these tactics in one foul swoop. This is yet another link program that pits Google as the enemy, giving you tips to “stay out of their cross-hairs”. As if Google is trying to knock your site out for just any infringement, and is gunning for you in particular. Google wants the most relevant information presented to searchers, period point blank. If your site does this, it will eventually rise to the top, and then stay there as visitors stick on your page and get the information you provide. If you use backlink tactics to artificially push junk content to the top of the searches, good luck staying there. Your bounce rate and time spent on site will be big indications that you don’t belong in the top spot, and adjustments will be made. We’re giving Backlink Beast the Risky Try rating, because if you don’t know how to use it correctly you could end up doing more damage to your site than benefitting it. Although they do mention link diversity and say that this is Penguin and Panda safe, as well as being safe from any future updates, they simply are not qualified to make that claim. Nobody knows what Google has cooking for its future updates, and they’re notorious at cracking down on sites that rely heavily on manipulating the search results using tactics like artificial link building. If you really care about your site being around for the long term, you’ll adhere to the best practices that Google makes easily available to all webmasters. There’s just no substitute for lousy content, and there aren’t enough parlor tricks in the world to keep high rankings if the quality of what’s on the page is poor. A better expenditure of your time and resource is to make sure that you have the best answers to the questions your niche is asking, and the best content related to what they’re interested in. This way they’ll stay on your page and will actually recommend your content to their friends with similar interests. This creates natural backlinks and takes away the need for a service like this. What do you think? Does Backlink Beast work or not? Does Boingo Wireless Really Work? Is PaySimple the Best Choice for Your Business? Like everything to do with building websites, this requires you to know what you’re doing before you get started. It’s a little catch 22 in my opinion, because in order to make your website better you need to be able to know how to use the internet, but in order to use the internet to make your site better you need to be able to know how it works. Round and round you go until you sit down and shell out some money and have some one show you what to do. I’ve tried stuff like this before, but as far as I can see you need someone to show you how to use it. Create backlink in natural way is good . well i am sure this will not be safe from any algorithm update by google because google is real beast in the era of internet. Backlink is the strong point after the content.